Online gambling is such a different animal from old-fashioned brick-and-mortar casinos. Real casinos get your adrenaline going like nothing else. It’s been a while since I’ve been to the City of Sin so I decided to relive the Las Vegas casino experience by renting a classic movie: “Casino”. 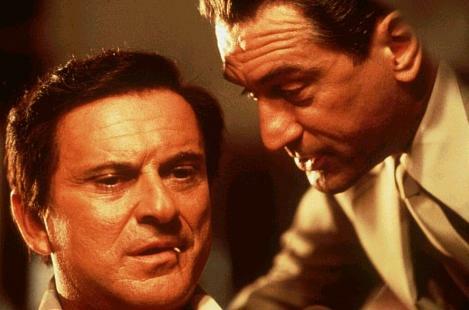 “Casino” stars everybody’s favorite tough guys, Robert “Are you talkin’ to me?” De Niro and Joe “What do ya mean, funny?” Pesci. That should have been enough to let me know how this movie would unfold. This movie is just like the real Vegas casino experience. If your dealer looks like this, run like hell, my friend. I remember my last time in the Bellagio, when someone pissed off my friend so he stabbed him. That was cool. And then there was the time that we beat up some guys in the Luxor, sticking icepicks in their hoo-has and then squeezing one’s head till his eyeball popped out. That rocked. Ok, seriously, this one time, I was logging on to this online casino, and this one bad dude Nicky Two Fingers broke into my place and buried me alive. It sucked. Yep…upon further review, “Casino” is just like a real-life casino experience. I give it two severed thumbs up.